SINGAPORE, 14 May 2014 – Changi Airport Group (CAG) welcomes the arrival of ANA Cargo’s inaugural flight from Okinawa, Japan, a new freighter city link for Changi Airport. From today, the Japanese freight carrier will operate six weekly Okinawa-Singapore-Tokyo Narita services, utilising the Boeing 767-300F aircraft. With strong demand for fresh and high-quality Japanese food products, this new service will widen distribution channels for these products to Singapore and its neighbouring markets. ANA Cargo will also be able to tap on dedicated temperature-controlled facilities at Changi Airport to extend the cold supply chain for perishables and pharmaceuticals, as well as increase transshipment cargo loads to Southeast Asia and South Asia. Despite challenging conditions in the global cargo market, ANA Cargo has been forging ahead, increasing its flight frequency and upgauging its aircraft to ramp up operations at Changi Airport. The airline also recently relocated its Asia Cargo Office from Hong Kong to Singapore, which serves its networks across Southeast Asia and South Asia. In 2013, cargo carried by ANA Cargo to and from Singapore grew 53% compared to a year ago. Its efforts were recognised at the recent 2014 Changi Airline Awards, where the airline was honoured for being one of Changi’s top airlines by absolute cargo growth. 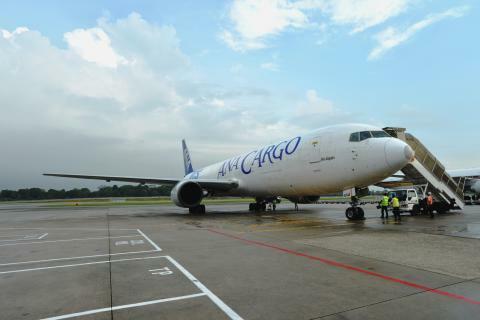 CAG’s Assistant Vice President for Cargo & Logistics Development, Mr James Fong, said, “We are delighted to welcome ANA Cargo’s new freighter service to Singapore. While the outlook for the global airfreight sector remains flat, this is an example of CAG’s commitment in partnering our airline partners to explore new opportunities and stimulate growth in niche cargo segments as well as overall traffic to emerging economies in the region. “Earlier this year, CAG also signed a memorandum of understanding with the Okinawa Prefectural Government to promote tourism, trade exchange and strengthen the aviation network between Okinawa and Singapore. We share a common interest and we will continue to work with both the government and the airline to promote Singapore as a travel and trade hub for Okinawa,” Mr Fong added. In the first quarter of 2014, cargo shipments at Changi Airport stood stable at 446,900 tonnes, compared to the same period a year ago. With more than 6,600 weekly scheduled flights, an aircraft takes off or lands at Changi roughly once every 90 seconds. 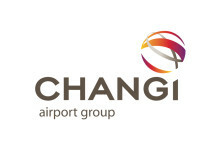 Changi Airport is the world's fifth busiest airport for international traffic and eighth busiest airport for international cargo traffic. It served a record 53.7 million passengers from around the globe in 2013. More than 350 retail stores and 120 F&B outlets are situated across three terminals to cater to passengers and visitors. With over 100 airlines providing connectivity to 270 cities worldwide, Changi Airport handles about 6,600 flights every week, or about one every 90 seconds.